Multiple Operators and Multiple Websites! 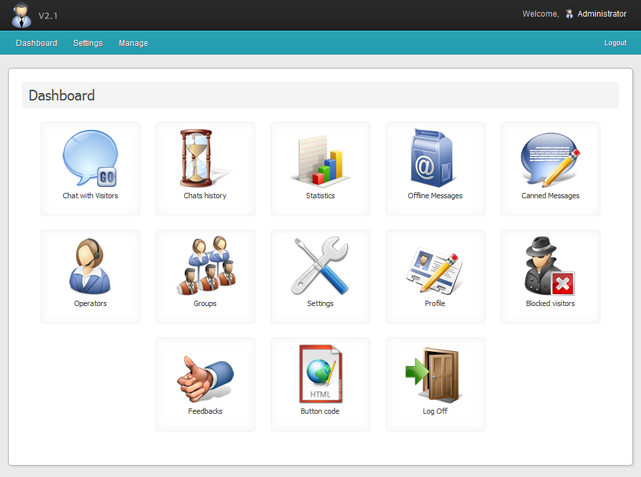 Provide live support and monitor all your websites from one WEB-application. This allows your organization to use one Live Chat Support Script account to support multiple websites with the same Operators! Visitor Information Live Chat Support Script enables you to have a 360 degree view of your website visitors, including name, status, current page, Geo info, IP address, browser type, etc. Basic setup includes simple online registration and placing of the chat button code or link on your website pages. Enjoy the benefit of unlimited operators! We are not priced “per operator” or “per user”. It’s only $20 for an unlimited number of operators and users. This includes free upgrades. 1 operator? 10 operators? 100 operators? Doesn’t matter. Our Live Help software features unlimited departments and unlimited operators. You can use your chat script on any number of web pages or different websites without any additional costs. Full source code – php-files are not encrypted and you can modify the PHP source code and make your own custom changes! You can even modify the code and remove our copyright notices so your clients will not know that you bought the product from another company. That’s all. 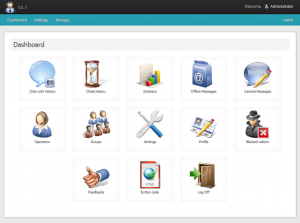 Live Chat Support Script does not require any specific server technology. You will get the full source code (no libraries, no binaries, the complete and full source code!). We do not have any domain or website licenses. 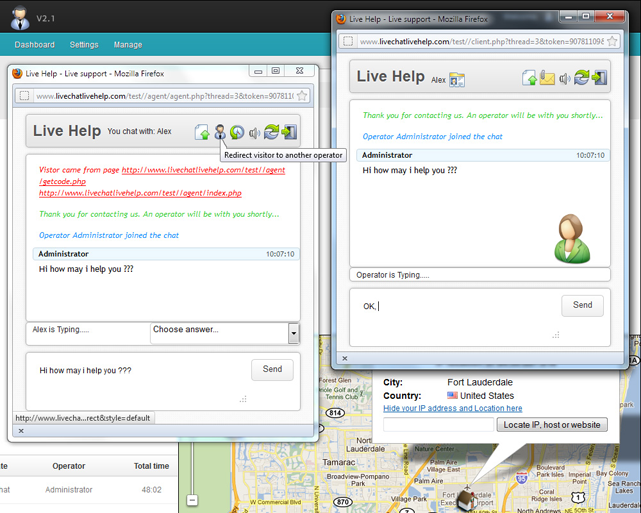 With a single program purchase you can use Live Chat Support Script on any website that you have. You can also remove our company details. View/Manage Feedback left by Visitors. 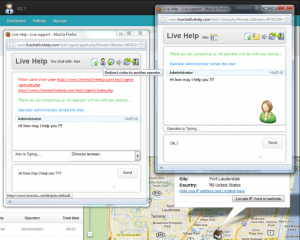 Why Live Chat Support Script from Zebra-Media ? – No more server maintenance and data warehousing/backup woes. – Company Banner/Logo. Upload your own images in the chat dialog box for a completely branded user experience. – URL of your website. Destination for you company name or logo link. – Canned Messages. Save your most common messages for greeting and signing off, etc. This saves time wasted on composing, poor grammar and embarrassing spelling mistakes by operators. – Geolocation window options. Window size and toolbars hiding. – Title in the chat window. Name of your company for example. – Enable “Pre-chat survey”. Forces user to fill out a special form to start chat. – Auto Greeting Message on chat pick for every operator. – Allow visitor to choose Department. – Department Based Chat Session. This enables you to group operators into departments and route visitors to the most suitable operators. – Leave-a-Message Form. If no operators are available, visitors can send you a message using a simple email interface. – Get chat log automatically via email. – Receive audible and visual notifications when a visitor requests support, another operator needs assistance, a new visitor enters your site, and other events. – Post-Chat Rating. With post-chat rating enabled, visitors can rate operators’ performance and leave comments after chatting.